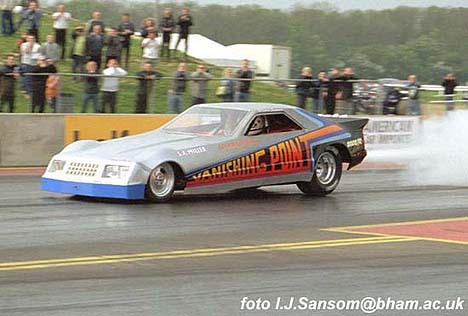 Drag Racing Picture of the Day - Sammy Miller and the Vanishing Point Rocket Funny Car Return! Slammin' Sammy back in the cockpit of the Vanishing Point. 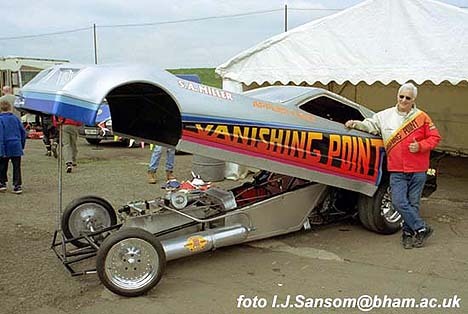 After an 8 year layoff, Slam'n Sammy Miller made a return to Santa Pod Raceway with a reinvigorated Vanishing Point in May. 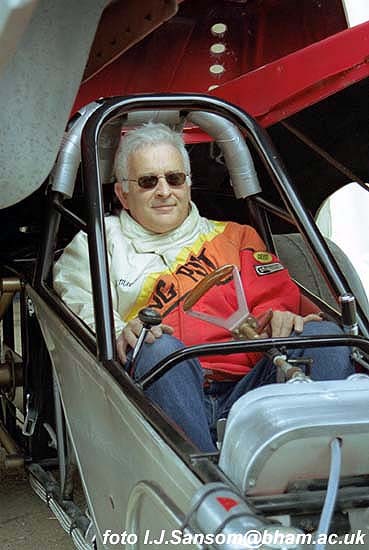 Although problems with overpressure in the rocket motor prevented a rapid return to the three second zone, the quickest Donald Duck impersonator in the world may be back in the UK to test again before building a new car over the winter!